Cardiff will look to get their promotion challenge back on track when they face in-form Preston on Friday evening. The Bluebirds have lost ground on Championship leaders Wolves and been overtaken by Bristol City after back-to-back losses against Bolton and Fulham. But they have the chance to move back above City, who play Wolves on Saturday, by beating Preston, and manager Neil Warnock will not countenance any negativity. He said on cardiffcityfc.co.uk: "When you look at the money that some clubs have spent, I think we can be incredibly proud of where we find ourselves going into January. I don't think anybody expected us to be in the position we are. "I thought we were unlucky at Bolton with the penalty decision having dominated the game and then Fulham were just a bit better than us the other day." Preston are creeping up on the play-off places having gone eight matches unbeaten and will look to repeat their victory over Cardiff in September, which ended City's unbeaten start to the season. 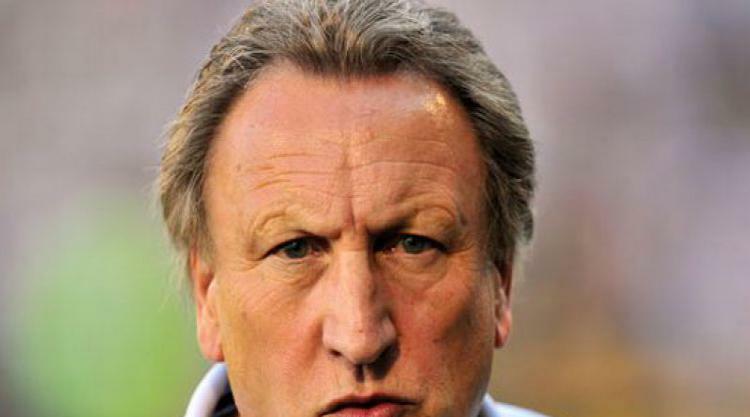 "Preston were very physical up there, so we know what to expect," said Warnock. "We'll have to be on our toes and start the game well. "They're probably the form team in the division at the moment and we're probably towards the bottom on the back of a couple of defeats." Preston go into the match on the back of draws with Nottingham Forest and Barnsley, and manager Alex Neil has challenged his side to score more goals. They are the lowest scorers among the leading 14 teams having managed just 27 goals in 24 matches. Neil said on pnefc.net: "The next step for us is to just try and add those final bits at the top end of the pitch and score more goals. It's something we've been speaking about for about a month now and we want to try and improve on that side." Millwall boss Neil Harris is anticipating a lively atmosphere when Ian Holloway makes his first return to the Den as QPR boss. Holloway was sacked in March 2015, with Millwall subsequently suffering relegation under Harris before he earned promotion back to the Championship last season. Harris said on newsatden.co.uk: "The atmosphere will certainly be electric, it'll be hostile. I think that's because it's a London derby, first and foremost, against QPR. "It's two teams in a similar position and what a great one for the players to be involved in." Millwall and QPR both have 27 points and go into the match on the back of encouraging draws. Millwall held Wolves to a 2-2 draw on Boxing Day while QPR had Josh Scowen sent off but battled to a goalless stalemate against Ipswich.